James 2 – Built new home and Manufactory in Broxbourne, Hertfordshire (1845). His younger brother, Michael Angelo Pulham, involved with design of some of the terracotta vases, urns, seats, balustrades and fountains etc. Great Exhibitions (1851-62) – Garden ornaments received several awards and prizes. Paris Vase – also known as The Broxbourne Vase, the Alexandra Vase. James Pulham and Son – James 2 brought his son, James 3, into the business to form new firm in 1865. 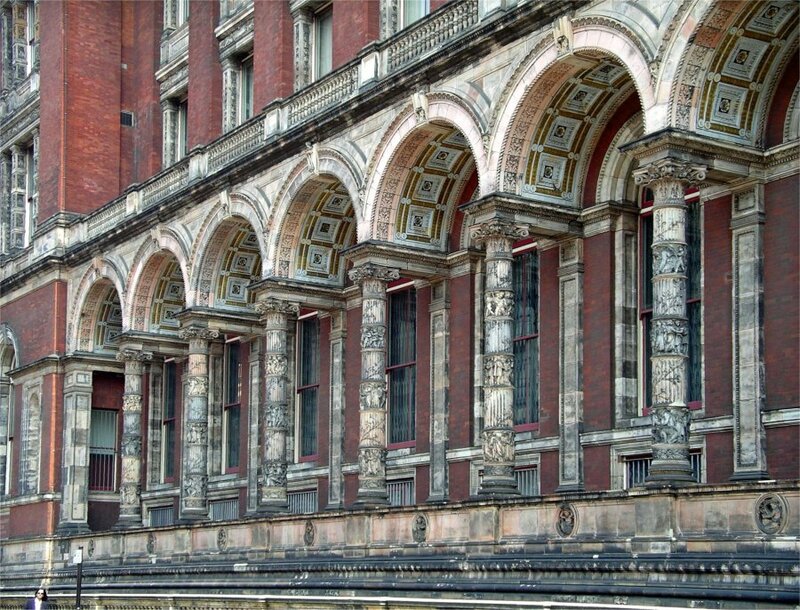 Memorials and Exhibitions – Special commission in terracotta awarded to firm, including the Mulready Memorial in Kensal Green Cemetery (1867) and the Exhibition Road colonnade at the V & A Museum (1867-68). Kew / Las Vegas Fountain – Made for the International Exhibition (1862), rediscovered in America. A full description – and many photographs – of the wide range of Garden Ornaments produced by James Pulham and Son in their Broxbourne Manufactory – can be found in Chapter 3 of Rock Landscapes: The Pulham Legacy – the definitive story of the lives and work of this remarkable firm. Written by Claude Hitching, with featured photography by Jenny Lilly. Published by Garden Art Press. Posted on August 20, 2014 June 25, 2016 by Claude HitchingPosted in Book ContentsTagged . . James Pulham and Son, Claude Hitching, Grapevine Vase (Pulham), James 2 Pulham, Kew / Las Vegas Fountain (Pulham), Mulready Memorial (Pulham), Paris Vase (Pulham), Pulham Manufactory - Broxbourne, rock, Rock Landscapes: The Pulham Legacy, V & A Colonnade (Pulham).